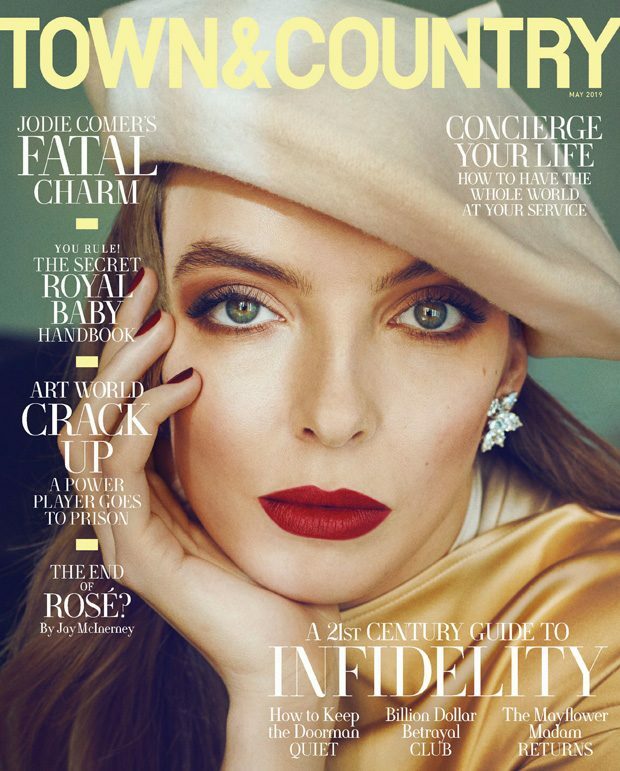 Town & Country Magazine features Killing Eve‘s star Jodie Comer on the cover of their May 2019 edition captured by fashion photographer Marc Hom. In charge of styling was MaryKate Boylan, who for the cover selected Bottega Veneta dress, Harry Winston earrings, and Lola Hats beret. 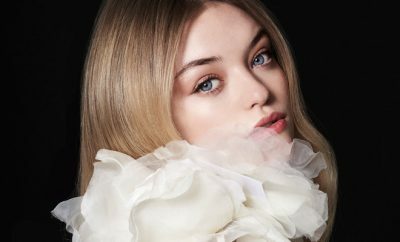 Beauty is work of hair stylist Orlando Pita for Orlando Pita Play, makeup artist Jeanine Lobell at the Home Agency, and manicurist Gina Viviano at Tracey Mattingly.